Question of the day: what common classs of drugs a) activates estrogen receptors, b) can increase appeitite, c) lowers acetylcholine, d) is (controversially) linked to male birth defects and e) stimulates (and potentially desensitizes) dopamine receptors? If you guessed antihistamines, you would be exactly right. If you're like me, you didn't read the fine print, eh? The authors were very cautious in their assessment in my opinion. Basically, they found a 40% increase with Claritin (loratidine) and 90% with other antihistamines. If you accept that at face value, not only are antihistamines esrogenic, but they can have a clincially negative effect in our littlest boys. 2. Estrogen mRNA Expression. Researchers using an animal model of hypospadias clearly found that loratidine (Claritin) was estrogenic and stated that "In utero exposure to over-the-counter loratadine syrup can result in hypospadias in this model, and creates changes in the steroid receptor mRNA expression profile similar to those elicited by a synthetic estrogen." CAN ANTIHISTAMINES INCREASE ESTROGEN / ESTRADIOL LEVELS? Note that the above studies do not support the idea that loratidine or other antihistamines increase actual plasma estradiol levels. Basically, these drugs increase estrogen-like effects though: your body reacts as if you had more estrogen / estradiol floating around. That said, I would argue that they can and do definitely raise estradiol levels and the long term in a solid percentage of regular users. How? Antihistamines essentially take the brakes off of your appetite and so you put on weight. 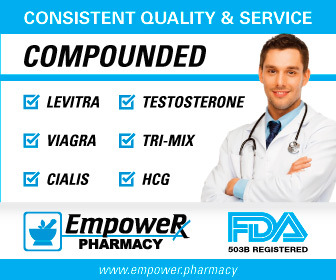 And every pound of weight that you add on increases aromatase, which in turn converts more of your testosterone to estradiol. So you could effectively end up with less testosterone and more estradiol, something I discuss in my page on Testosterone and Weight Loss. Why does this happen? It turns out that histamine reduces weight gain and appetite. Again, antihistamines take the brakes off of one of the body's natural appetite suppressants. And good luck with that in Western societies where we are drowning in food and calories! CONCLUSION: Now, anyone who has read my site knows what I am going to say next: instead of taking antihistamines, why not clean up your diet? True story: I was constantly plagued with allergies as a young man and young adult. I was on allergy shots for years and took antihistamines like candy. I would guess that I have easily taken several thousand pills of the stuff in the first part of my life. Furthermore, I used to be plagued with sinus infections, flus and colds - I was constantly sick. Then something miraculous happened: I went on a whole foods, low fat, largely (at the time flexitarian) plant based diet in my late 40's - now I am entirely plant based - and all my allergies went away. I had one particularly strong allergy to bermuda grass. If went into a park with bermuda, I would be coughing that night. This completely went away. Remember: whole plant foods are PACKED with antiinflammatories and antioxidants. They also with a couple of exceptions (such as B12) have an excellent nutrient profile. And, most importantly, whole plant foods are PACKED with fiber - you know, the kind that your colon and your gut flora love and thrive in. The gut is ground zero for immunity, so I am not the least bit surprised myself. Anyway, not trying to offend anyone - just passing along what worked for me. 2) Int J Med Sci, 2006, 3(1): 21 25, "Maternal use of Loratadine during pregnancy and risk of hypospadias in offspring"
3) Drug Saf, 2008, 31(9):775-88, "Risk of hypospadias in offspring of women using loratadine during pregnancy: a systematic review and meta-analysis"
4) J Urol, 2006 Feb;175(2):723-6, "Loratadine exerts estrogen-like effects and disrupts penile development in the mouse"
5) Obesity (Silver Spring), 2010 Dec, 18(12):2398 2400, "Association of prescription H1 antihistamine use with obesity: Results from the National Health and Nutrition Examination Survey"